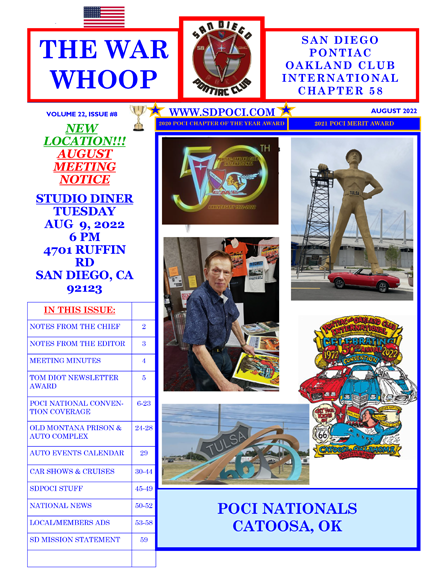 The San Diego Chapter of POCI is proud to publish a monthly newsletter titles the War Whoop!. The War Whoop! is filled with the latest events and activities that the San Diego Chapter is planning. Feel free to download the latest version here!